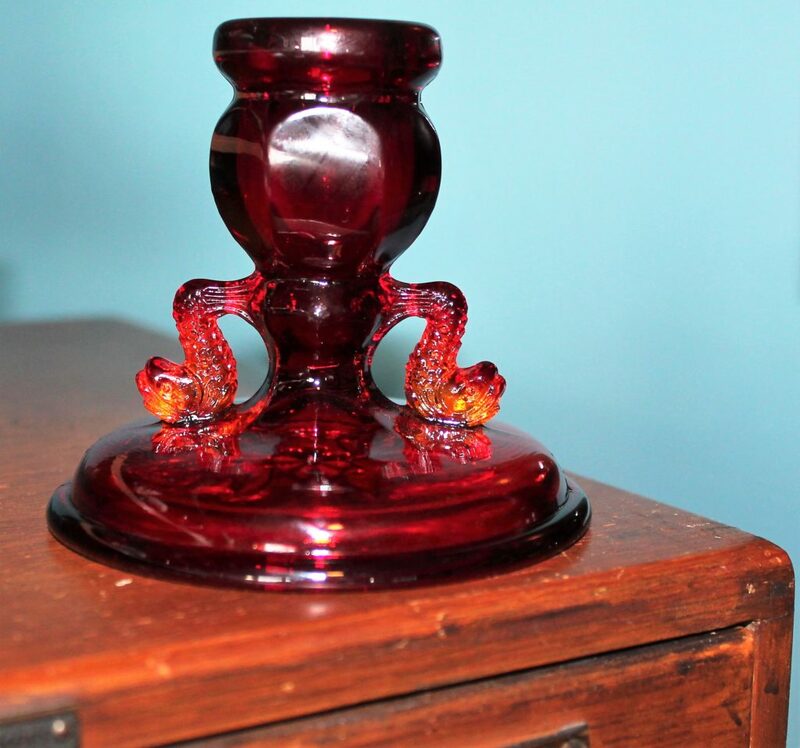 I bought this piece in the States. 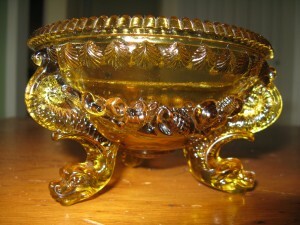 It turns out that this is a candy dish with a lid (notice I don’t have the lid). I’d like to purchase it. It’s a pretty piece, lid or not. I like the dolphin feet despite their creepy snake look. I haven’t been able to find out much about this pattern although I know it comes in a number of different colours and in a satin finish as well. 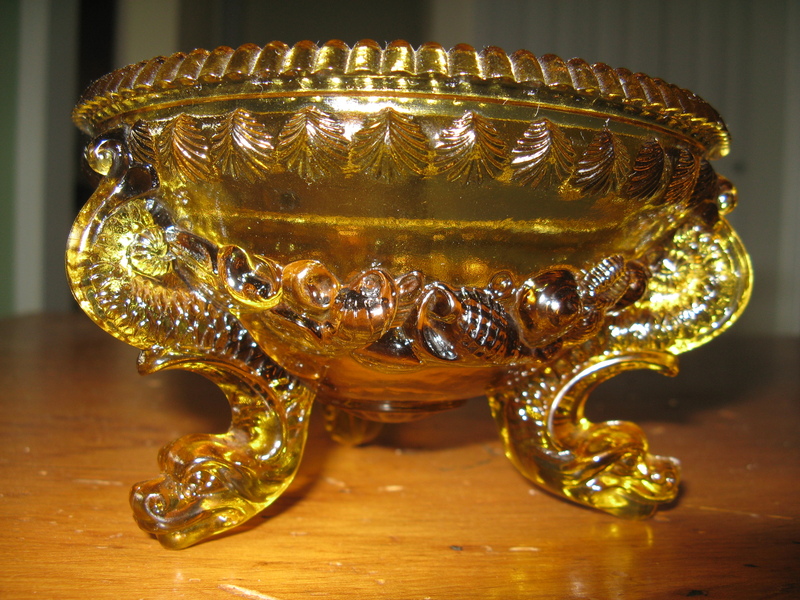 But…here’s some info of interest about the Westmoreland Glass Company from Collectors Weekly.